Inspried by the shape of a guitar pick, the Finsbury High Coffee Table by Modloft offers ultra-modern style with a traditional finish. 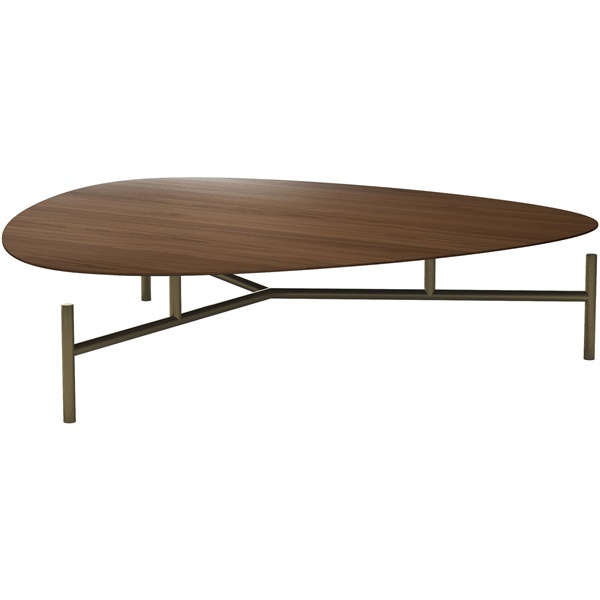 It features a thin surface crafted of walnut veneer and it supported by a brass base. It is perfect for every day use but doubles as a conversation piece. Create a first-rate aesthetic in your living space by pairing it with the Finsbury Low Coffee Table in white.